A 16-year-old high school student, Dan , starts suffering night terrors and frequent hallucinations after playing lacrosse at school. Dan's parents take him to see Dr. House after receiving a letter that Cameron sent in House's name. 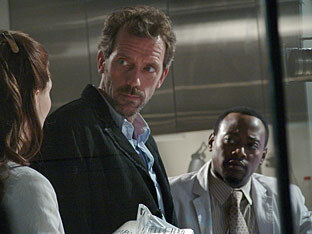 Upon meeting the family, House begins a bet to determine whether they are his biological parents. After Dan exhibits more symptoms, including a myoclonic twitch and a blocked blood vessel, House diagnoses Dan. Dan suffers from an auditory hallucination during a procedure, however, ruling out House's diagnosis. Using coffee cups from the parents, House does an unauthorized paternity test and discovers that neither parent is biologically related to Dan. House flashbacks to a case he had earlier that involved a mother who did not want her baby to be vaccinated and theorizes that Dan is suffering from a measles virus contracted during his childhood. House confirms his diagnosis with a retinal biopsy and successfully cures Dan.